It’s exciting times for wearables. There are more revolutionary sounding devices than ever before. They promise to get us fit, they’re here to keep us healthy and they’re aiming to take us to new worlds the like of which we’ve never experienced before. But, while the details of those destinations might be different, anyone who’s been around the world of computing and technology for the last 40 years will be all too familiar with the rhetoric. There have been false dawns. There have been broken dreams. There have been futuristic visions left looking laughably dated. Which one is this? Just where might wearables take us? It’s times like this when wisdom and experience are what’s called on for clarity, so Wareable got hold of three of the wisest men from the old testament of tech. Legends in their lifetimes, landowners of their respective fields, these are their thoughts on wearables. “The phone itself is very sub-optimal,” explains Cooper who himself invented the very first handheld, cellular mobile phone, the Motorola DynaTAC 8000x; referred to now as ‘the brick’. Cooper’s dream device is one which he feels we’re only two of three generations away from. His vision is that our current universal smartphone multi-tool solutions will devolve their functions and become something not only more specific but also more customised. It’s a similar principle to the idea behind the internet of things. "Everyone will wear on them what I call a personal server and the personal server is what connects them to the world. The idea is that the undershirt would be perfectly positioned to measure all your vitals. In fact, it'd be far better positioned than the wrist-worn trackers and sensors that attempt to do the job today. It would also get around the problem of this garment having to bend to the ideas of fashion, although it would have to be incredibly discreet and comfortable to wear. While phones that you insert into your ear and undershirts that faithfully and subtly record your biometrics - all without the need of charging batteries - might sound like many years away, that's not the greatest barrier between us and a viable wearable future according to Cooper. The same wearable sensor data which Marty Cooper wishes could be properly harnessed means an entirely efferent problem to Gene Spafford, professor of computer science at Purdue University and leading computer security expert. “I have mixed feelings about much of it,” confides Spaf as we quiz him on his opinion of the wearable world. Gene Spafford was the man who analysed the effects and security issues exposed by the first great computer viruses, the Morris Worm, which caused $10m worth of damage. Now that those computers are connected to people, the stakes are a whole lot higher. The same ideas of reliability and safety are of particular concern for Spaf when it comes to the obvious subject of medicine. While it's less likely that your Fitbit will blow up, an implanted pacemaker or insulin pump is in charge of some entirely more vital functions, and also a lot harder to remove. “They may make it possible for me to live a more normal life but, if I grow to depend on it, and it misbehaves, or someone is able to hack into it in some way, then it becomes an avenue of life threatening. Spaf's second worry over wearables, an area which he would otherwise welcome with open arms, is one over privacy with devices like Google Glass highlighting future issues as augmented reality begins to spread through our culture. “The problem there is that they are also invasive of the privacy of individuals who aren't using them and haven't necessarily consented to their use. Unless you are very confident about what that device is doing and when it's doing it and whether you can control on/off, there are privacy implications. Ask Richard Stallman about the problems of privacy with wearable devices and you'll get an altogether more hard-line approach. What most people call Linux was, in fact, largely Stallman's creation. He started to build an entirely free computer operating system from the ground up called the GNU Project in 1983. He put together all the necessary tools including a debugger, compiler, text editor and everything that you'd need – all except the computing kernel itself. Linus Torvalds took GNU, added the Linux kernel and the rest is history. “I would like to see people make wearable computing devices that are freedom respecting,” is Stallman’s considered line. The freedom to which Stallman refers is the freedom to use software as you will without it reporting back to the person or company that designed it. As president of the Free Software Foundation, it's of little surprise that this is his greatest concern. "Most such devices are totally unethical because they are full of non-freedom respecting software and they're design to spy on their users,” he explains. Speaking to Sonny Vu at Misfit Wearables, we know that this is exactly what does happen. In the case of Misfit, you'll find the company's innovation and technology in other fitness tracker devices from other manufacturers. What Vu takes in return is not money but data – your data. People already paid for their fitness gadget in the first place. Why should they then have their measurements and information passed on as well? Is that ethical? Stallman pushes a very important point. If you tried to export your data from a given fitness device onto another platform, would it let you? Probably not, and yet it's okay for that company to sell it on without consulting you or offering a penny in return. 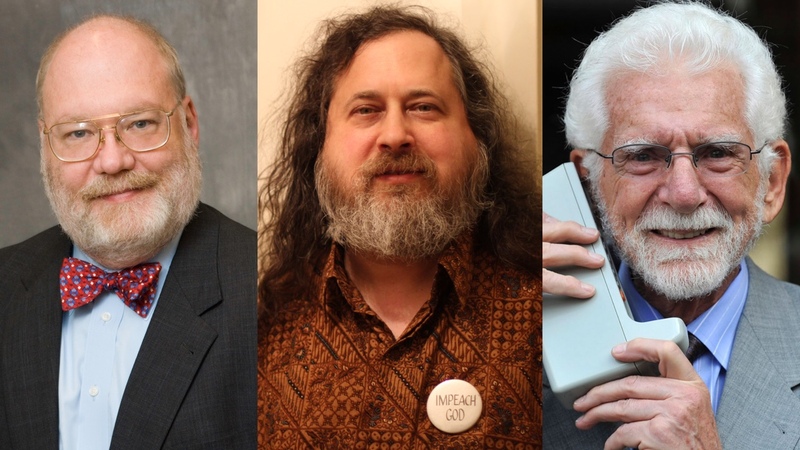 “I would suggest that should be illegal,” is Stallman's vehement response. What’s your verdict on wearable tech? Where’s it going? Let us know using the comments below.